For Senegal next match click here. 2018 FIFA World Cup Group H rivals, Japan and Mexico meet with a spot in the second knockout phase of the tournament perhaps awaiting the winners. 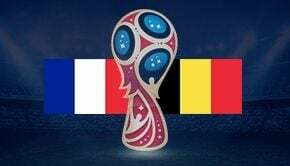 The result of the match will assist in determining the overall outcome of Group H (one of the most wide-open World Cup Groups) and which teams may progress through to knockout play. Both of Japan and Senegal’s opening fixtures were relatively low scoring affairs and that theme should follow on into this game as well. Senegal to win 1-0 is priced at 7.60 with Crownbet. A Shinji Kagawa penalty opened up Japan’s account for the World Cup and it could be a massive moment in the race for the round of 16. The Japanese were able to find the back of the net twice but will battle to break down a robust Senegalese defence. Both teams not to score with Ladbrokes is priced at 1.75. All of the opening fixtures in Group H saw more than two goals scored but more tightly contested fixtures should follow. Under 2.5 Goals at odds of 1.57 to be scored with Betstar is a great option. Why Should I Bet On Japan vs Senegal? Japan and Senegal got their respective World Cup campaigns off to a flying start with wins in both of their games. These two sides upset the odds and have given themselves a fighting chance of making it out of Group H. When they meet on Monday 25th, Senegal will look to impose themselves on the Japanese and the West Africans should win a physical challenge and the match. Senegal to win is 2.00 with William Hill. When the final whistle blew between Japan and Colombia, very few saw this result coming. It is one of the biggest upsets of the World Cup so far and a result Japan fully deserved. Senegal are, however, the better team in this game and will fancy their chances of qualifying for the round of 16 with a victory over Japan. The physical aspect of the Senegalese style of play should be too much for Japan to deal with. Despite sitting first and second in the Group H, Senegal and Japan will know the job is far from done. Poland and Colombia will to spring to life and make a fist of dragging the others back into the mix. Japan have entered a transitional phase (experienced players retiring) and they are not the dominant side in Asia they once were. Despite that, Japan were still good enough to win their Asian Qualifying Group comfortably and gain direct qualification to the World Cup from a powerful group containing Saudi Arabia and Asian Champions Australia. Losses to Belgium, Brazil, Ghana, Ukraine and South Korea. A 1-1 draw with Mali. Form in the lead-up matches has been less spectacular with a 1-1 draw against Uzbekistan and 0-0 draws against Bosnia and Herezgovina, and Luxembourg.